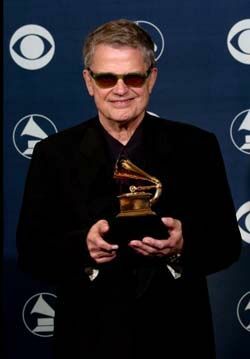 Naim Label celebrates Charlie Haden Grammy Award with discount on hi-res downloads | What Hi-Fi? In celebration of double bass player and composer Charlie Haden's Lifetime Achievement Award at the Grammy Awards last night in LA, Naim is offering its catalogue of 24-bit/96kHz Charlie Haden album downloads for £9.99 each. The offer is for a limited period only, and includes the following albums: None But The Lonely Heart, The Capitol Sessions, Nightfall, The Private Collection, Heartplay and When The Heart Dances. Haden, a Naim aficianado himself, began his career performing with Paul Bley and then Ornette Coleman on the seminal album The Shape of Jazz To Come in 1959. To download the hi-res albums, head on over to the Naim Label website and follow the links.